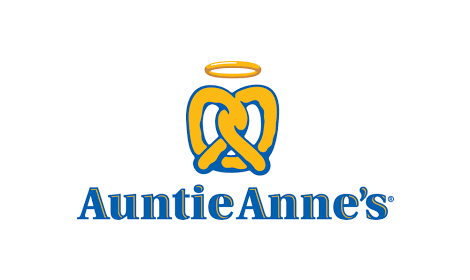 Auntie Anne’s Pretzels are a great tasting and delicious alternative to traditional, fried, high calorie fast food. Only wholesome, all natural ingredients go into our freshly baked Pretzels, with the dough mixed, rolled, twisted and baked right before your very eyes. There’s a variety of Pretzel flavours to choose from, with or without butter – and with a selection of delicious dipping sauces and thirst quenching beverages, there really is something to suit all tastes.